Dr. Rohlfing is the division director of the Chemical Sciences, Geosciences and Biosciences Division in the Office of Basic Energy Sciences (BES), Office of Science, U.S. Department of Energy. He joined BES in 1997 and served as program manager for the Atomic, Molecular and Optical Sciences program from 2000 to 2003 and as team leader for Fundamental Interactions from 2003 until October 2006, when he became division director. Dr. Rohlfing received his B.S. in Chemistry from the University of Virginia in 1977 and his Ph.D. in Physical Chemistry from Princeton University in 1982. He was a postdoctoral fellow at Exxon Research and Engineering Company and Los Alamos National Laboratory before joining the staff at the Combustion Research Facility at Sandia National Laboratories in 1986. His research interests include the experimental characterization of transient molecules relevant to combustion processes, linear and nonlinear laser spectroscopies, trace detection of pollutants, molecular beam and mass spectrometric studies of carbon and metal clusters, and vibrational relaxation dynamics. 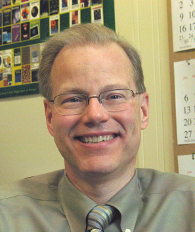 He is the author of approximately 50 peer-reviewed articles, holds membership in the American Chemical Society and the American Physical Society, and is a fellow of the American Association for the Advancement of Science.